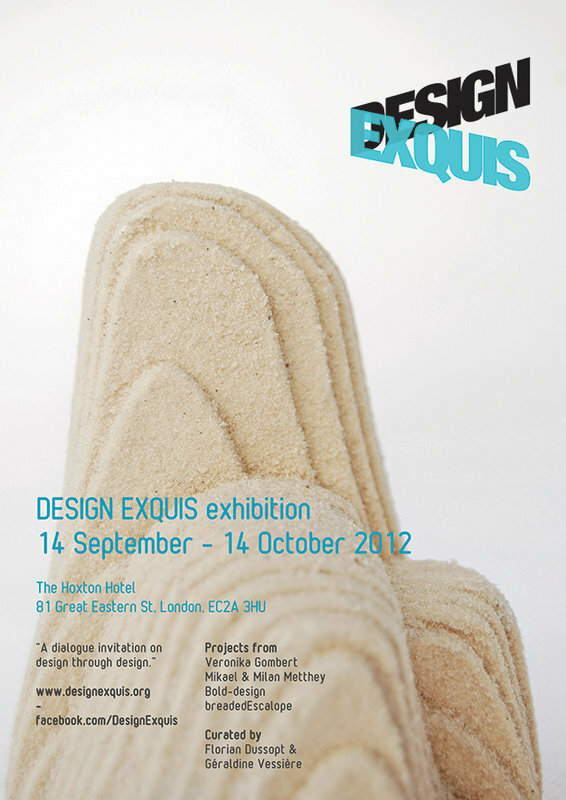 Design Exquis is a new concept exhibition curated by Florian Dussopt and Géraldine Vessière. Opening the 14th of September 2012, it will be launch during the London Design Festival 2012. Design Exquis is an exhibition inspired by the collective method of creation, developed by the Surrealists, known as Exquisite Corpse (Cadavre Exquis). An object is chosen for its design qualities. A designer is invited to react to it by producing a work. This work is, in turn, answered to by a second designer. The process is repeated. None of the designers but the first one know what the first object is. None of the designers know who the others are. The only information they receive is the last object created. There are four designers in total. 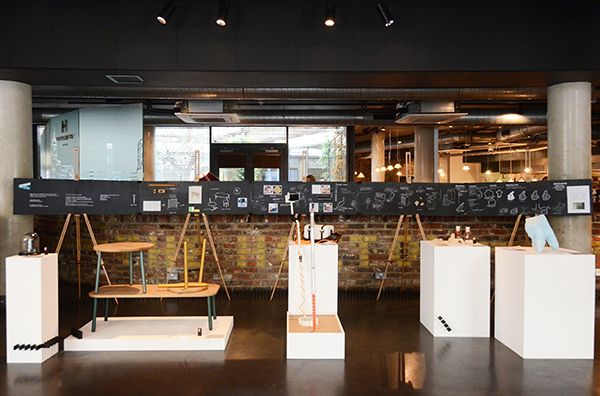 Each of them is given a short deadline to create their response, using the exhibition and the language of design to start adialogue with each other and the audience about design, the design process and the interconnection of ideas. 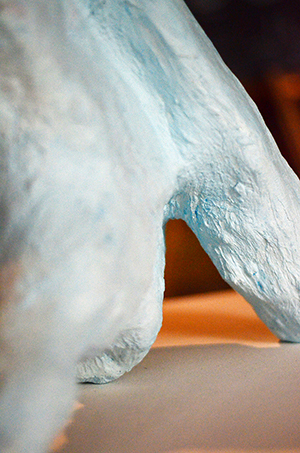 The resulting objects and explanations about the process by which they were conceived will be unveiled on 14 September and will run until 14 October 2012. You can visit the exhibition at The Hoxton Hotel in the heart of vibrant Shoreditch ; home to a large range of art galleries and studios and one of the three main London Design Festivaldistricts. London Design Festival : Design Exquis – All is revealed. The featured projects are disclosed. Following the success of its private view, Design Exquis can now reveal the individual projects the four designers have created. The chain of logic which led to their creation is full of surprises. Transferring the Surrealist technique of Cadavre Exquis (exquisite corpse) into design, Design Exquis’ curators elected, as the first object, the screw ; interested in its technical shape and discreet importance in our daily lives. They then asked Veronika Gombert (Jasper Morrisson, BarberOsgerby) to react to it through design. 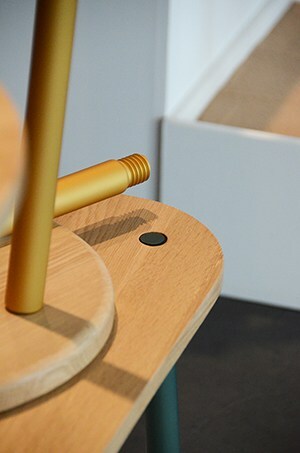 She took her inspiration from the thread of the screw and used this system to createScrewed, a set of three tables made of wood and anodised aluminium. Each leg set and plate can be combined by the action of screwing. When they received Veronika’s work, Mikael and Milan Metthey (both graduates of RCA and, individually, exhibitors at MoMA and Milan Design Week 2009) did not know either its author nor the object which led to it. They were still intrigued by the action of screwing, but as a method by which we can probe into solid surfaces to collect information. 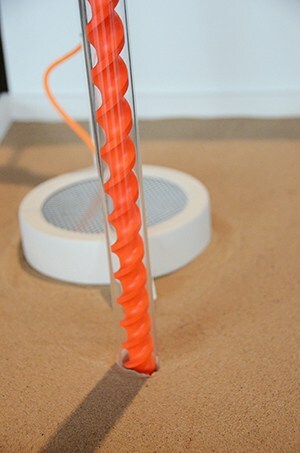 The Sandpit Detector and the Beach Detector allow children and adults to collect samples of sand and analyse the bacteria content. The objects raise questions about our relationship with micro-organisms and our desire to over-protect ourselves against them. Not knowing the creator of these two objects, bold-design interpreted the intention behind them as being averse to bacteria. They decided to ally themselves with the micro-organisms and use them in a constructive way. They discovered the Biocalcis process which uses bacteria to calcify the sand. This system could, one day, be used to reinforce buildings’ foundations, dunes or sea walls. 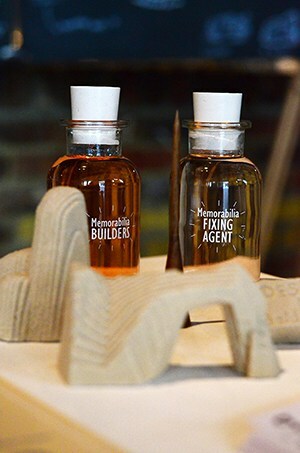 Memorabilia Factory, a kit using bacteria, sand and a mould inspired by native landscapes, uses this process to allow tourists to create their own souvenirs. breadedEscalope Design Studio reversed the idea of the traditional souvenir with their project, ReSOUVENIR, a ceramic receptacle which acts like plaster. Inside, one deposits an object of personal value to leave behind for someone else. It is not a proxy of a journey but demands discovery. Turning the exhibition into an expedition, they have hidden three ReSOUVENIRS in London, Vienna and Stockholm and created three maps accordingly.